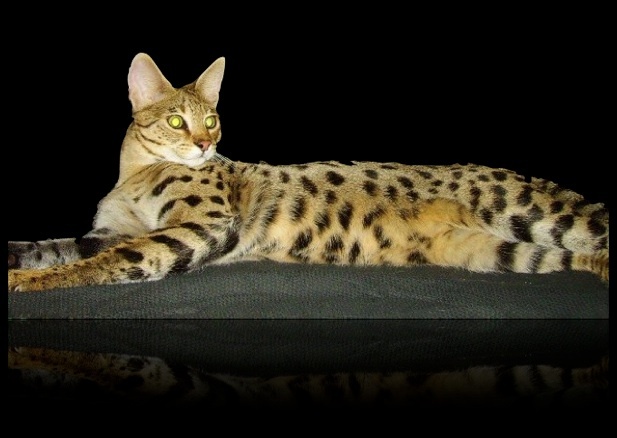 Here at Cutting Edge Cats, we take great pride in producing some of the best F1′s in the USA. It’s our philosophy that you should not need a degree in Animal Science or use hormones or over-feeding to produce LARGE bodied exotic cats. 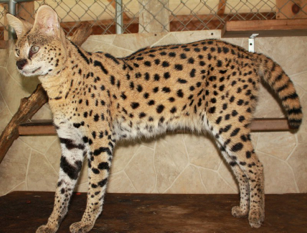 Here at Cutting Edge Cats we use strong, healthy breeding cats and excellent nutrition to optimize growth, development and color in our cats to produce beautiful, vibrant GOLD colored coats with BLACK spots that do not fade with age on a large muscular exotic gentle feline. Why the high price? 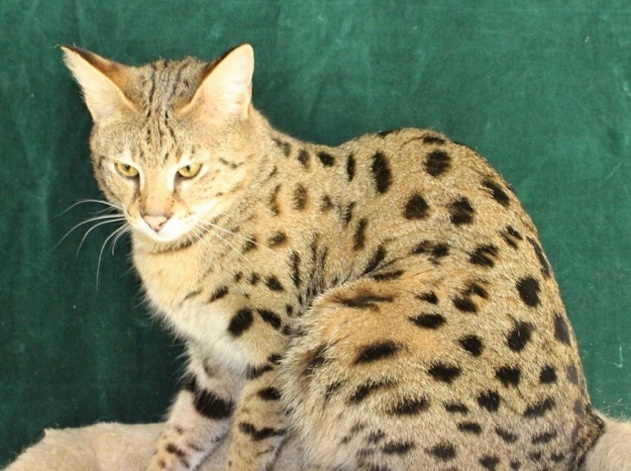 Unlike some other breeders, Cutting Edge Cats spend a lot of time and effort in researching and blending the best bloodlines to offer you the best quality available in an F1 Savannah. 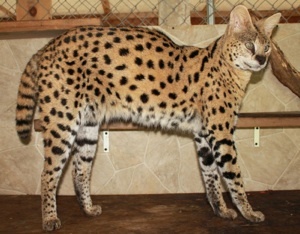 Our standards are high, and we do not produce cool colored or cream colored coats with fading to brown spots in our F1′s. Only vibrant gold coats and non-fading black spots meet our standards. Whether you are buying a very young kitten or an adult, our kittens are human imprinted and live as cherished pets before going into their new homes to insure the best temperaments and adjustment in their new environment when you take them home. Kittens and cats are given a full health inspection, fully vaccinated, microchipped and if the appropriate age, neutered prior to sale. 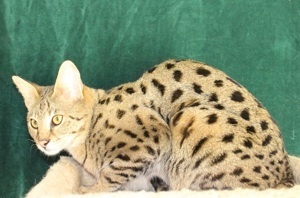 You are purchasing the very best there is to offer in an F1 savannah when purchasing from Cutting Edge Cats. 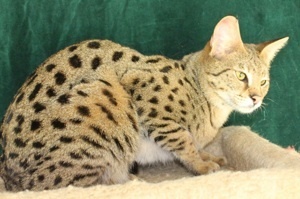 We offer 50%-80% F1 kittens that are hand and/or bottle raised.